At What Age Should a Child Begin to Learn a Foreign Language? Changes to the SAT: What Does It Mean? These days, many parents are eager for their children to begin foreign language classes at a young age because children seem to learn foreign languages faster and better than adults. Often, a child moving to a new country picks up the new language more quickly than their parents. According to common wisdom, a child should begin foreign language instruction at a young age when he or she is most capable of absorbing the new language. Some children now begin as early as nursery school. Many parents think: with foreign languages, the earlier the better. But is this common wisdom accurate? The case for starting children in a foreign language at a young age is not as clear-cut as some may think. The case of the child who moves to a new country and rapidly acquires the new language may be misleading. That child is truly immersed in the language, meaning he or she is exposed to many hours of the language every day. By contrast, a child who receives one hour of daily instruction beginning in nursery school may simply not receive enough hours of exposure to be truly immersed in the language. Studies show that children need tens of thousands of hours of continuous and consistent exposure to a language to acquire it. There may be a threshold quantum of exposure below which the language will not stick. The child may end up merely remembering a few simple words for all her years of classroom instruction. The case of the child who moves to another country is dis-analogous for a second reason. A child who moves to a new country sees her new language as being of primary importance. It is what she uses to communicate with her peers and teachers in school. She is thus highly motivated to learn the new language, and may even come to favor it over the language of her parents. Studies show that motivation is a factor of primary importance in language learning. A child who receives language instruction in school but speaks English with peers and parents outside of the classroom may lack this sort of motivation, and would therefore be less likely to pick up the new language. Nowadays, few people leave school with an understanding of grammar. This may seem unimportant to some, but we must remember that Latin was traditionally taught with the specific goal in mind that students learn grammar. 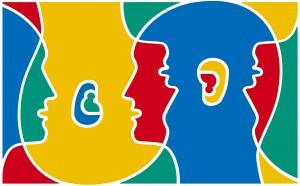 To be a true linguist is not merely to be able to communicate in more than one language. It is to appreciate what languages are, to grasp their structure and their grammar on an abstract level. Recent studies on language learning provide some evidence that being young is not a requirement for attaining proficiency in a second language. It depends more on the training methods. In some learning environments, older students more easily reach advanced levels, in some cases exceeding younger students. Some studies* suggest that the plasticity of the brain may extend well into adolescence and adulthood, meaning that adolescents are at less of a disadvantage compared to younger language learners with respect to language learning than was previously thought. This does not mean that learning languages at a young age is a waste of time. If a child becomes proficient at a young age, this is no impediment to that child learning about the grammar and the structure of languages in adolescence. But if the instruction at a younger age is of limited effectiveness because it falls short of true immersion, it may turn out that starting the child at an early age may not be as important as one might have thought. A child might be better off using her time in elementary school focusing on subjects other than languages. More research is needed to evaluate the effectiveness of beginning language learning early, and what benefits it confers on younger learners, to weigh the advantages and disadvantages of starting early against waiting until adolescence. *Watanabe T, Chang LH, Sasaki Y, Shibata K. Age-related declines of stability in visual perception learning. Current Biology. 2014.